Do you want to be part of the island's prestigious pageantry? 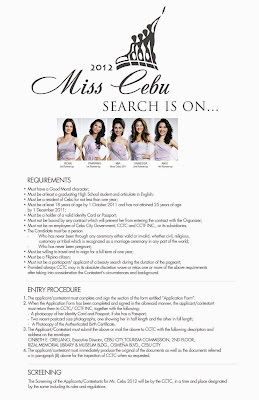 Doubt no more, Yes to the Miss Cebu 2012 search. Check below poster for the requirements, entry procedure and screening details.